Fits up to 44″ waist, and keeps travel documents easily accessible. 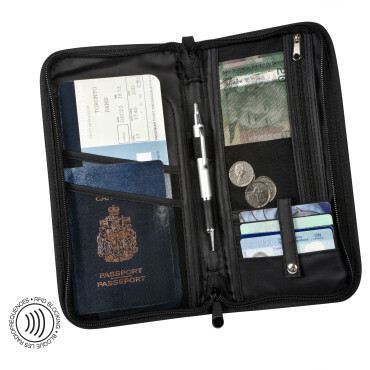 Exclusive drop down organizer front flap is designed for easy access to cards, coins and passport. 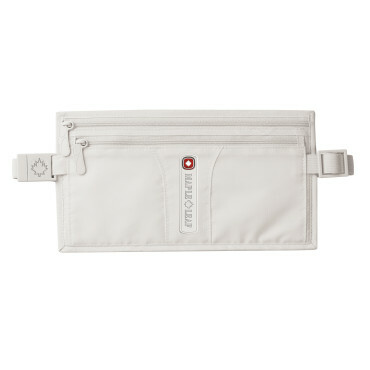 Roomy main compartment with back outside zippered pocket and an adjustable woven wristband with interlocking buckle. The zippers broke, very flimsy and it didn’t last very long. I have used this product for years and it works great. 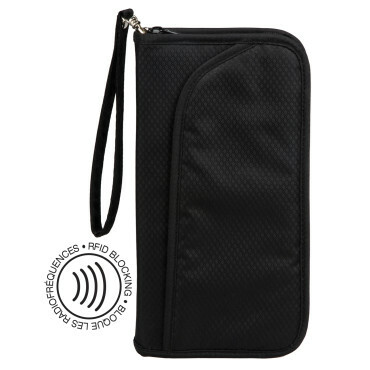 The pockets are big enough to hold a phone, wallet and a small format digital camera and everything stays secure and easy to get at. It was delivered quite quickly too! 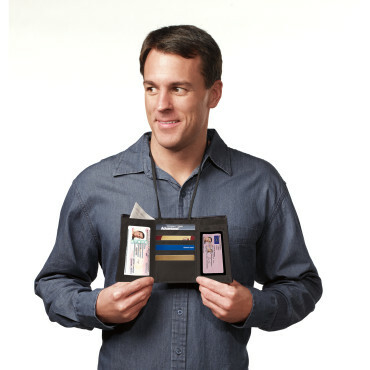 Makes presenting your ID at airport check-ins, security screenings and immigration a snap! 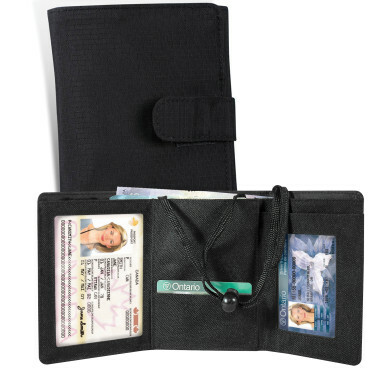 Tri-fold wallet opens to reveal a windowed pocket for your opened passport, plus a second window pocket for a driver’s license photo. 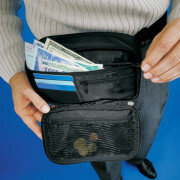 Includes a full width pocket for tickets and boarding passes, and a slip pocket for credit and business cards. 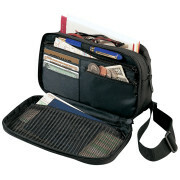 Closes with a convenient grip-strip tab to keep all your documents secure. Adjustable neck strap. Engineered for security and easy wear, this money belt with 2 zippered pockets help keep cash, tickets, boarding passes, and passports secure and accessible under clothing. Ultra-light, ultra-durable Performance Polyester construction is tear and abrasion resistant. Soft padded backing is cool and comfortable against the skin. 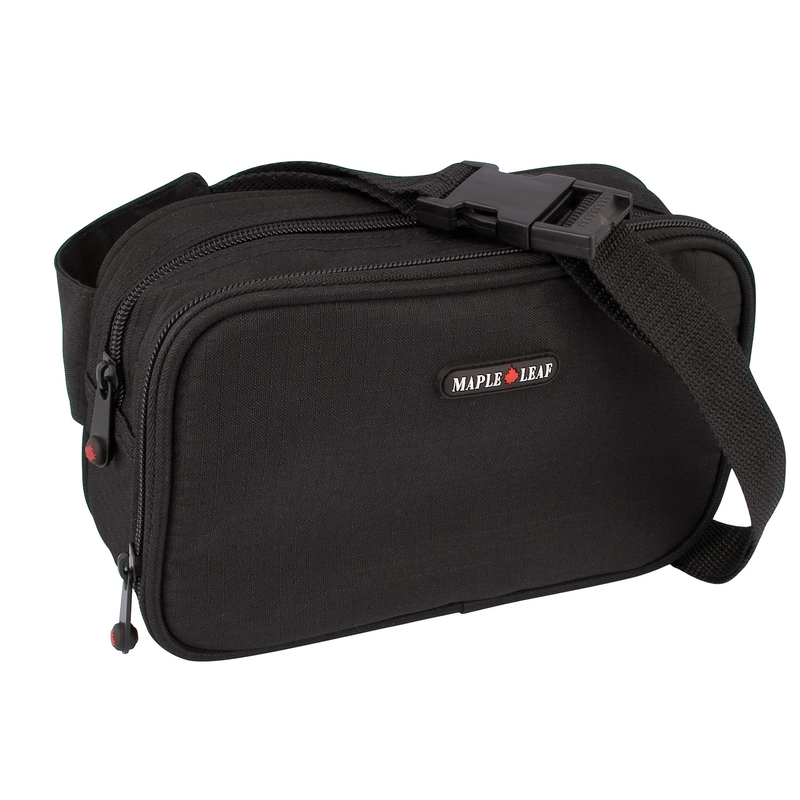 Adjustable elastic belt, with buckle closure, fits waists up to 114cm/45″. Easy care for years of use; hand washable with mild soap and water.